In 365 days from now, Germany will be unrecognizable. Here are the thrills, chills and candles and scandals that await next year. 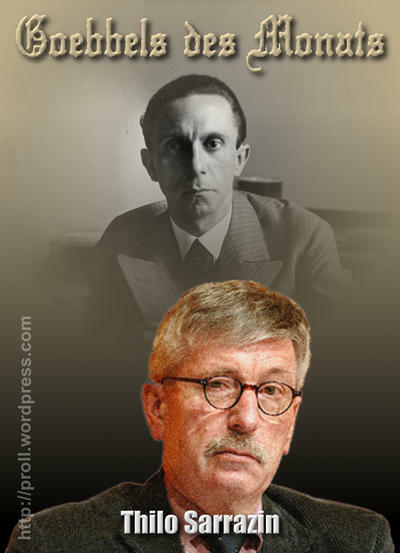 1) Thilo Sarrazin will be caught in bed with an East Asian transsexual (if I'm covering for Amok Mama I might as well steal her jokes). When he shamefacedly appears before the cameras later, his eye will twitch slightly and he will break down and confess that he has a thing for tiny shoes. And that he's really sorry and didn't mean any of it. 2) At May's party conference, Guido Westerwelle will be on the verge of being thrown out of office by his own party, when Angela Merkel will suddenly have a seizure and stop speaking during a press conference. 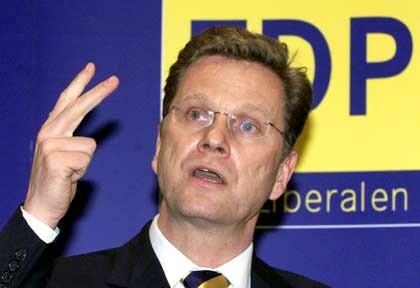 No one will notice for 10 minutes, but then she will be bundled backstage, and Westerwelle will take over. He will then ban all political parties except the FDP, instigate a bloody purge of all his political rivals, crown himself Protector of the Federal Republic and move the capital back to his beloved Bonn. He still won't manage to get any of his policies through though. 3) There will be uproar when middle-class Germans learn about Google's new Dinner View facility, which will allow users to see what other people ate for their dinner. Consumer Minister Ilse Aigner will have her eggs scrambled. So what do you wish for in 2011? What do you lie awake at night aching for? Write your dreams below.